In the era of fast growing advanced technologies, e-commerce has quickly become popular in the marketplace. The wide variety of online applications, tools, extensions, and recommendation engines increasingly support the work of online retailers having a positive effect on user experience. In this regard, the role of recommender engines is precious. They came to light almost 30 years ago but gained popularity recently and totally revolutionized the industry. So, let’s see what is the essence of recommendation systems? The recommendation engine is an information and data filtering tool. It uses various algorithms to find matches and recommend relevant products to a particular user. The item can be a product, a piece of content and even a person (in dating sites). In one word, they provide personalized recommendations tailored to the user’s needs and wants. The use of recommendation engine is highly appreciated by online merchants conditioned with its numerous advantages that we will discuss in this article. How can you benefit from the recommendation engine? It’s an undeniable fact that people are more engaged in buying products from online shops where they get maximum customer support. The likelihood is higher that they will come back when getting proper customer service. So, you will gain numerous benefits from using product recommendations. Let’s understand what will you have as a result. A recommendation engine can drive traffic to your site through personalized emails and noteworthy suggestions to potential customers. its statistic, almost 35% of its total revenues come from recommended personalized products. When the customers are shown products relevant to their needs, the chances are higher that they will add it to their purchase. A good example is Netflix, which has estimated that its recommender system brings $1 billion sales to the store. It’s a proven fact that recommender systems play a major role in bringing traffic and increasing conversion rates. This is not a final list of benefits, and you can notice the benefits as soon as you use a recommender engine on your online store. It remains to understand what type of recommendation engine your store needs. To reveal it, let’s see the points below. Another helpful way of guiding users to find what they want is showing them what the majority of people are looking for. To say the least, you should be aware of your best selling products based on your sales data. However, you will still be able to recommend items even if you don’t have your customers’ data. A good way of using this recommendation engine type is sending the suggested products in your welcome emails. As far as you don’t have any information regarding your new subscribers, the more effective way is adding popular products in your welcome emails. This is a useful way of putting your foot forward and breaking the ice between your brand and the customer. So, a simple way to do this is teaching the system your category structure for not using singular categories for category page recommendations. With the same logic, you can recommend child categories to parent ones providing more diversity in recommendations. To make it more visualized, it’s enough to say that according to Pareto’s rule in marketing almost 80% of sales come from 20% of products. Taking into account all these metrics, you’ll be able to perfectly to define the most popular products among your visitors. A high user rating is another metric of popularity. Actually, user ratings, reviews, comments are called “explicit feedback” in terms of recommender engines. Whereas, purchases, clicks, browsing habits are named “implicit feedback”. The latter is the natural interaction of the user with the platform. That’s why recommendation engine mostly uses implicit feedback based on its richness, structure, abundance in contrast to reviews, for instance. Reviews contain unstructured information and there isn’t much benefit from them. According to research carried out by BrightLocal, nearly 88% of users find reviews trustworthy and a parallel of personal recommendations. Thus, if you believe that the review-based preferences of your users are a paramount factor, then consider adding a “top rated” feature on your main page. Based on the browsing history and previous purchase, recommendation widgets show various personalized products to users. 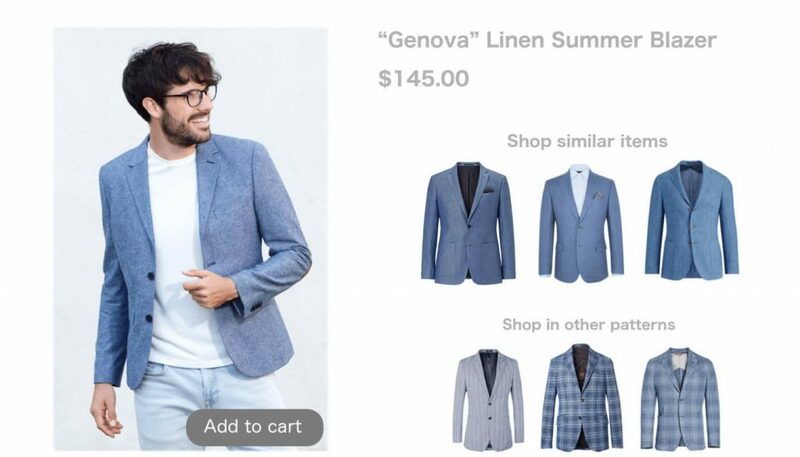 The recommender algorithms used here differ with their implementation and the used factors. The main benefit of personalized recommendation they boost “long tail” product sales. However, personalized recommendation systems require a considerable amount of data, which is impossible to provide about new visitors. This issue is called the “Cold start problem” for the engines. Here, the best practice of providing a personalized user experience for returning customers and catering new users, “fallback scenario” is used. It’s often called a Plan B. The essence of Plan B is detecting whether there is enough information about a certain customer to make recommendations. If there isn’t sufficient data, then the system starts “falling back” to more general and larger category-filtered logic. Here the engine uses metadata instead of customer-based data. What is noteworthy Plan B should be done with great conscious to avoid unreasonable recommendations and provide accurate suggestions. Generally, similar product suggestions are based on various logics. One of them is category-based filtering, which is simple and can be used without a recommendation engine. Combined with meta-data based similarity, this filtering method will considerably enhance the performance of your store. However, you should have sophisticated recommender functionality on your site for this. Another well-working logics based on similarity is ‘item to item collaborative filtering’, which we will cover below. Collaborative filtering was first used by Amazon. The foremost step was taken in 1999, when they filed the initial patent for collaborative filtering. At the gist of collaborative filtering is collecting taste and preference information from users. Collaborative filtering can be implemented for both similarity based and personalized recommendations. “Customers who viewed this, also viewed…” which includes the core idea of the filtering system. 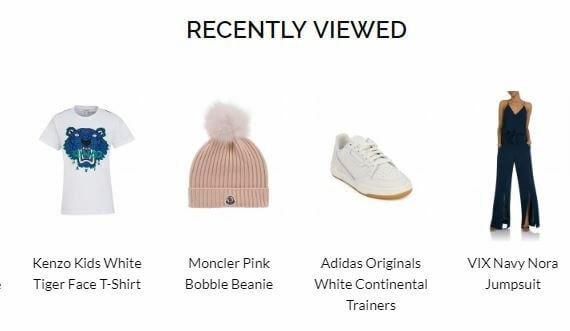 An effective way of increasing the average quantity and quality of orders is adding recommending products related to a certain cart on Cart Pages. These kind of recommendations will be effective since they find the customer in a good psychological state, when they are willing to purchase. Therefore, there is a probability that they will say “yes” to your suggestion. However, some brands fail in the usage of this recommendation, and the example with Zalando is a bright depiction of it. When you choose a pair of winter boots, in the shopping cart page it suggests boots even cheaper. It’s a misuse of the recommender engine since it makes the customers have hesitations on their choice. When opting for a Beach sandwich maker, it also suggests sandwich knife, omelet maker, breakfast sandwich in the Frequently Bought section. In Customers who bought this, also bought this… section it recommends Microwavable omelet maker, Import company Avo saver and so on. Another highly productive type of recommender is “Frequently bought together”, displaying on cart pages. Here the checkout process should direct the customers to the cart page where real recommendations are displayed for any cart page recommendation to give results. From the other hand, it’s a data-heavy technique requiring much more forts and user information. The layout of the page plays a crucial role as well. You can provide great results and insights through A/B testing various designs and layouts if having enough time and resources. For instance, Netflix widely uses this testing method for home screen layouts, featured shows and so on. It’s beyond doubt that there is much more to learn from them. Actually, there is no need of in-depth data about your customers for implementing this recommender engine. It’s based on products that somebody has been engaged with while browsing your site. You may use this technique for browsing abandonment emails and retargeting campaign. The core of this engine type is sending an email reminder to a customer who has been distracted while shopping. 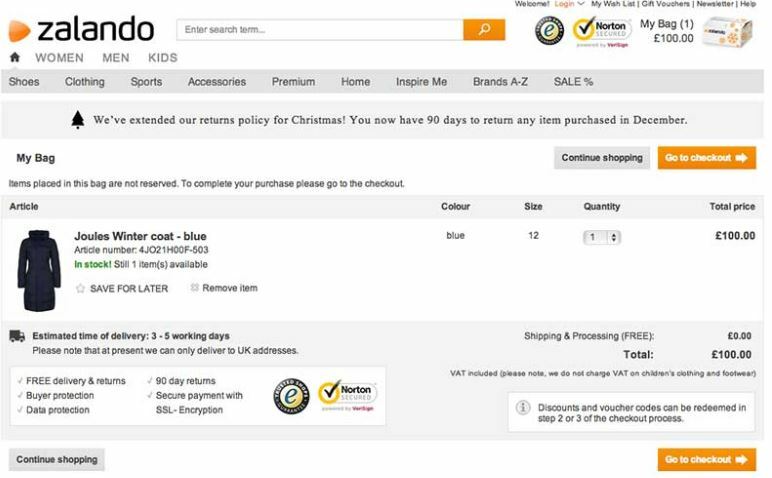 Reminding your visitors to come back and continue shopping is a good way of driving conversion to the website. Generally, the ideas, techniques, and tactics covered in this article are not all. It’s like a food for generating new approaches to store owners and managers who plan to implement a recommendation engine or take their business to the next level. With the bunch of available recommendation engines out there, you can start testing your ideas immediately and see the first-hand results.